I love old doors and this one is beautiful, solid build and has a great knob! The light is fabulous for the details! v.
The ordinary made extraordinary through your lens. 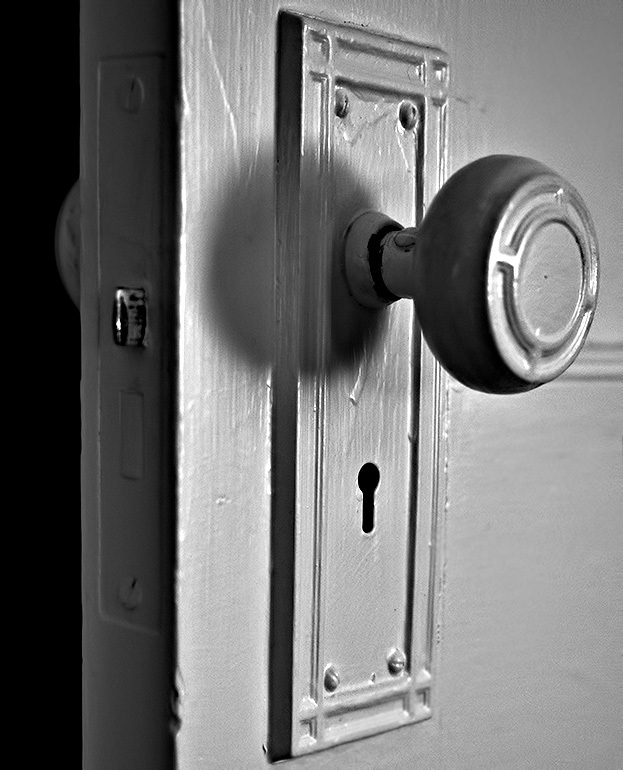 Love the tight, close up framing of this old door knob. Great light and shadow. BV. The door into the new year is ajar. What lies beyond? An air of mystery and tension here. Great with the black behind the door. "V"